Look out! It's King Kong Willy! Uh oh! Looks like someone is sleeping on the job! Run like the wind Willy! 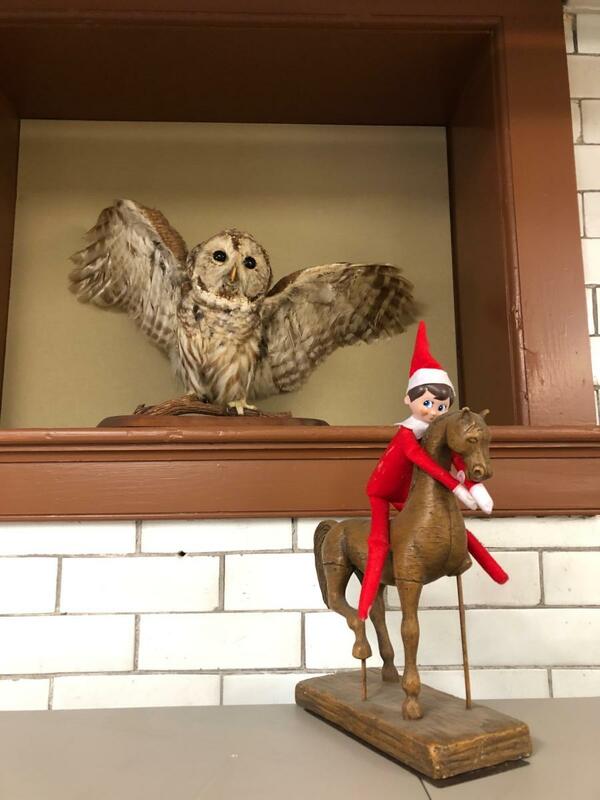 And his trusty sidekick, Uncle Feathers! Getting his hands dirty with our Park Superintendent! 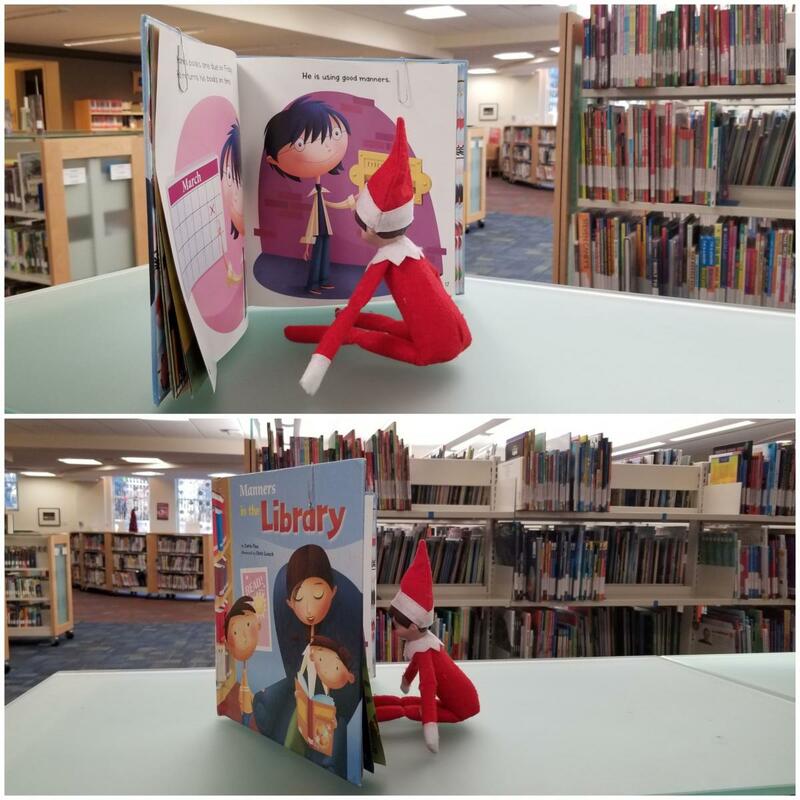 Mission Mend-a-Book didn't go quite as planned! He puzzled and puzzled 'til his puzzler was sore! 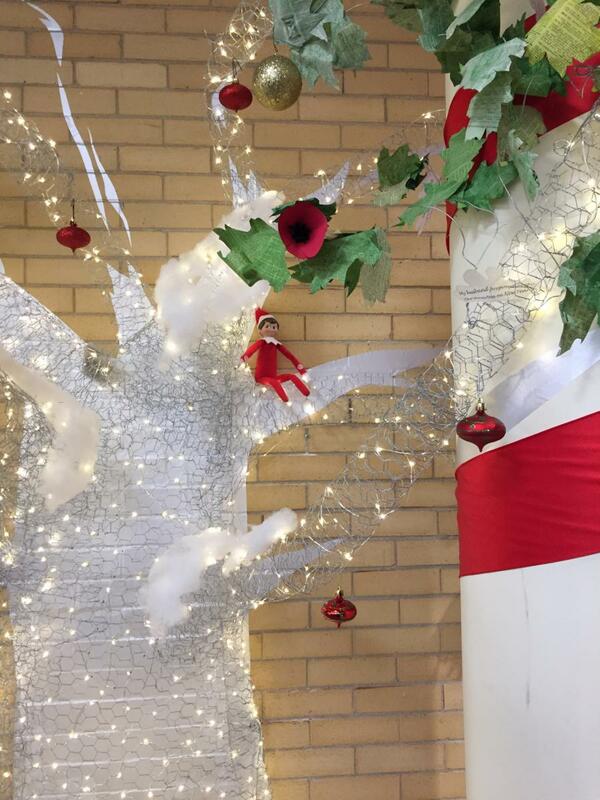 These two just 'crack' me up! 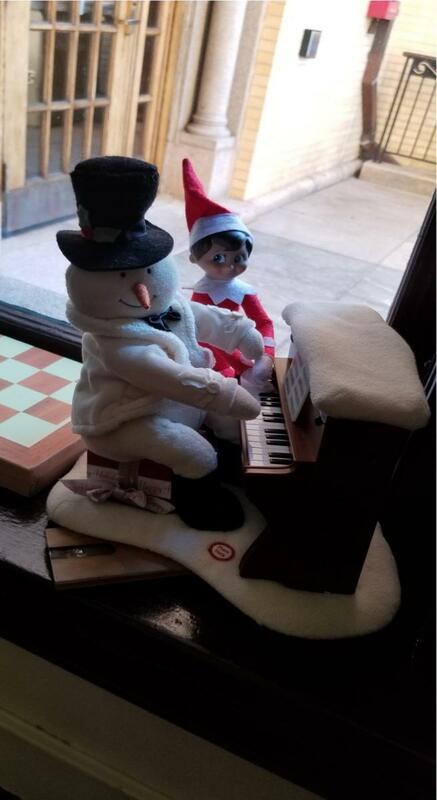 Playing "Hearth and Snow" with Frosty, in the Coy Cafe! 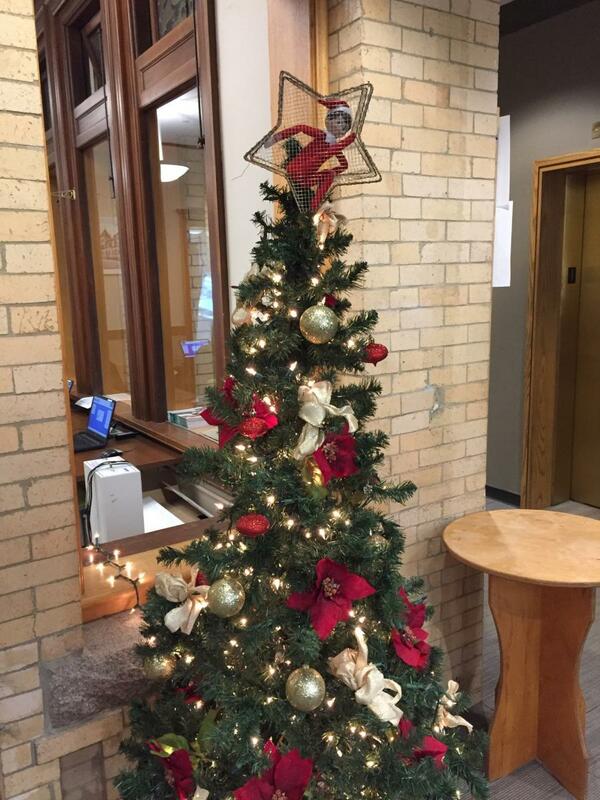 Keeping an eye on the Circulation staff from their magical wire tree! Snowball fight in the computer lab anyone? 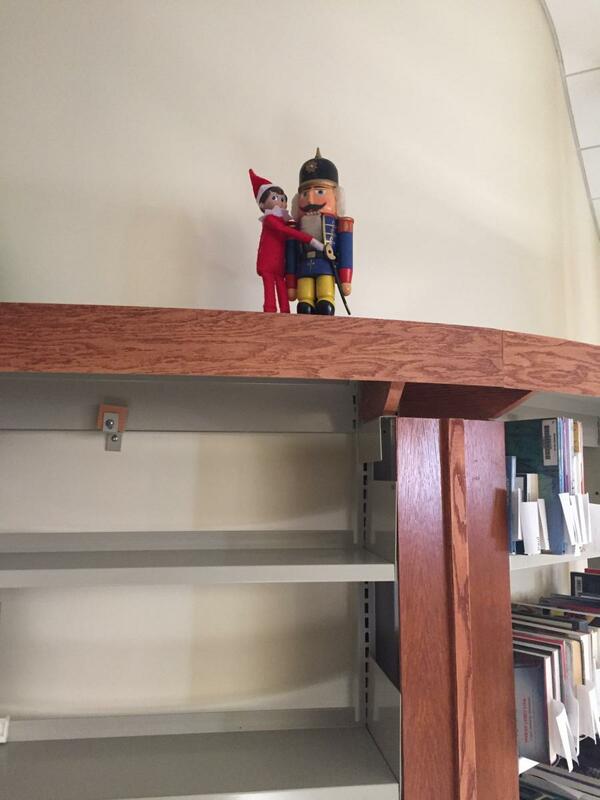 Well it's December and that means our Library Elf on the Shelf, Willy, is back! 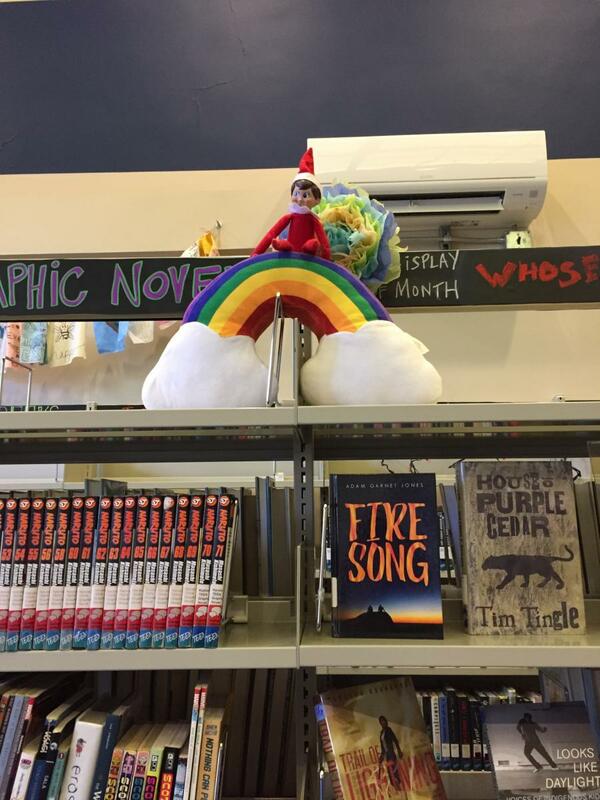 Looks like he's "somewhere over the rainbow" in our Teen Department!